SENDAI CITY, Japan, March 23, 2016 — Prime Minister Shinzo Abe often talks about helping women and young entrepreneurs to become more active in the Japanese economy, but it is his wife, Akie, who has been walking the talk on these and other issues for years. Last week she was in disaster-stricken Tohoku, doing it again. Japan’s first lady – whom her American counterpart, Michelle Obama, called “an amazing woman” – is a prominent supporter of causes as diverse as organic rice farming (she works her own farm), small business (she owns a restaurant), LGBT rights (she marched in Tokyo’s gay pride parade), and building schools in Myanmar (she has visited a dozen times). On March 13, just two days after the fifth anniversary of the devastating earthquake, tsunami, and Fukushima nuclear disaster that struck the Tohoku area in 2011, the energetic Mrs. Abe visited Sendai City, the capital of hard-hit Miyagi Prefecture. She came to Sendai to lend her support to the third annual Post-disaster Innovation Forum (PIF), organized by the World Disaster Risk Reduction Industry Organization. Both the Organization and the Forum were created three years ago by two high school girls, Ayaka Nirei and Ruka Saito. They wrote to Mrs. Abe to explain how they hoped to learn from Tohoku’s experiences to help societies everywhere become less vulnerable to disasters of all kinds. In addition, the students said they truly wanted to help young people develop into the leaders of tomorrow. As the first lady remembers it, their phrase, “We are the future of Japan” so moved her that she promised to help them achieve their goals. Since then, Mrs. Abe has actively participated in all the PIF annual events. 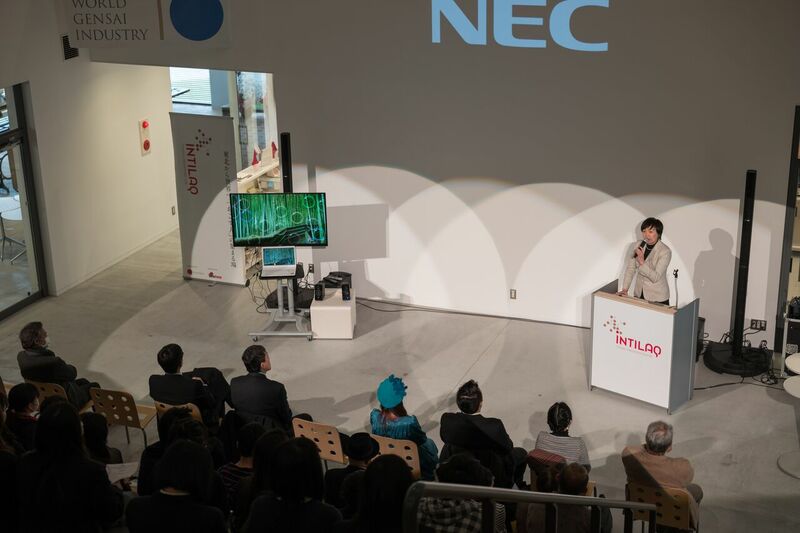 This was the second year for this increasingly high-profile event to be co-sponsored by INTILAQ, another organization dedicated to facilitating change in the Tohoku region, specifically by helping entrepreneurs and small businesses. That mission brought the group into contact with Misses Nirei and Saito. INTILAQ is supported by the Qatar Friendship Fund, which underwrote the construction of the spectacular INTILAQ Tohoku Innovation Center in Sendai, where this year’s PIF was held.